Sale Court House is a complex of rendered brick buildings constructed in stages by the Public Works Department of Victoria in 1863, 1874, 1889, 1920, and 1986. JJ Clark designed the original 1863 Court House which featured three arched openings and a gabled court room with a hipped roof over the main offices. The public entered through the middle arch which led directly to the central court room, flanked by a Barristers' Room, Jury Room, Clerks Office, Judge's Room and Magistrate's Room. Access to a Writing Room and Upper Gallery was provided on either side of the public entrance. In 1874 the Court Room was enlarged by adding three rooms to the northern end (also designed by JJ Clark). A small Prisoner's Room attached to the 1863 Barristers' Room was demolished in 1889, when a Supreme Court and linking corridor were added to the western side of the building. The Supreme Court features a central court room with clerestory windows and offices with lower roof levels flanking the court room. Externally, the Supreme Court is notable for finely detailed decoration displaying Greek, Roman and Egyptian influences. An additional room was added to the front south-east corner of the building in 1889-90. Further alterations occurred in 1920 and, in a major upgrade in 1986, a new slate roof was installed and a wing added at the rear of the building to house a Family Court, offices and library. Additions have been generally sympathetic with the Victorian Free Classical style that characterised the original 1863 building. The judge's chambers and later courts have retained their identity and original usage, and the Supreme Court retains many early features, including its timber court room furniture and fittings. Sale Court House is of historical, architectural and aesthetic significance to the State of Victoria. By demonstrating progressive development since 1863, Sale Court House is historically important as a reflection of the growth of Sale from its mid-nineteenth century pastoral beginnings to its modern role as a major regional centre and local base for the Bass Strait oil enterprise. 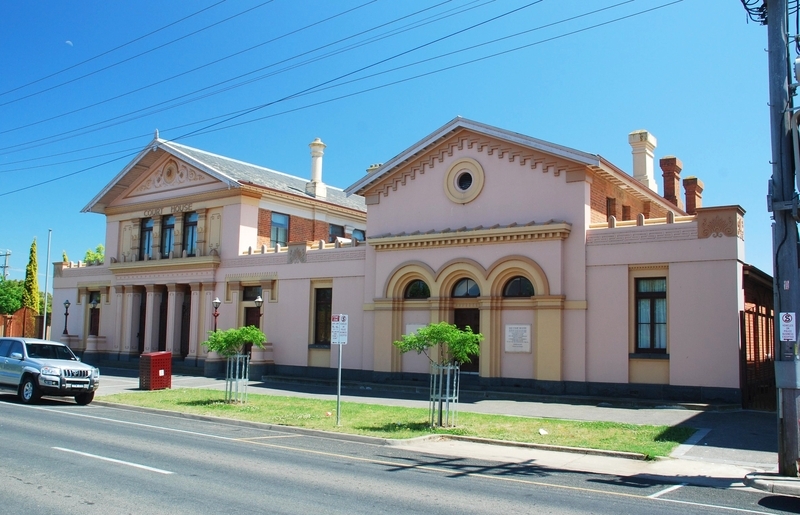 The Court House is historically important for an association with the explorer geologist Alfred Howitt, who led the Burke and Wills relief expedition in 1861 and later became police magistrate at Sale from 1877 to 1889. It is also historically significant for an association with the noted Public Works Department architect JJ Clark, who designed the original 1863 building and additions to its northern end in 1874. 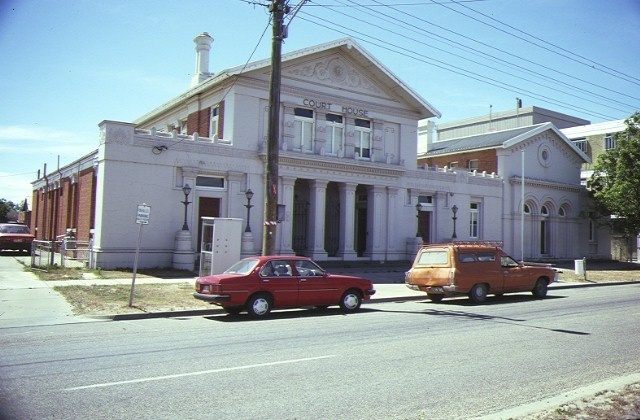 As a complex of buildings which has undergone major works in 1863, 1874, 1889, 1920 and 1986, the Sale Court House is historically important for demonstrating a sequence of court functions showing the evolution of the court system in Victoria. Sale Court House is architecturally important as a representative, generally intact example of a Victorian Free Classical style court house built in the 1840-1890 period. Despite progressive renewal and expansion, the floor plan retains the essence of the building's many alterations and additions. The exterior of the 1889 Supreme Court building in the Sale Court House Complex is aesthetically important for exhibiting an unusual use of exotic ornamentation displaying Greek, Roman and Egyptian influences. Court House, Foster Street, Sale.